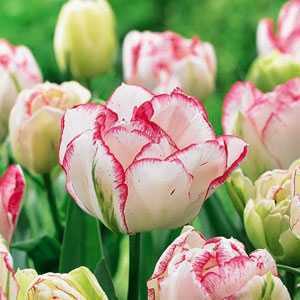 Tulip 'Carnaval De Nice' is a double flowering variety. 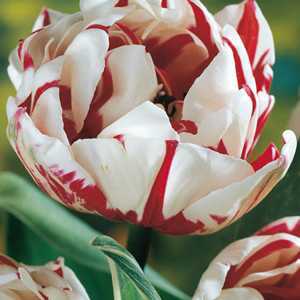 The flowers have veins of red running through white like a stick of rock it’s wonderful in the garden in pots and in the vase. Position: Plant in well-drained soil in sun to partial sun.